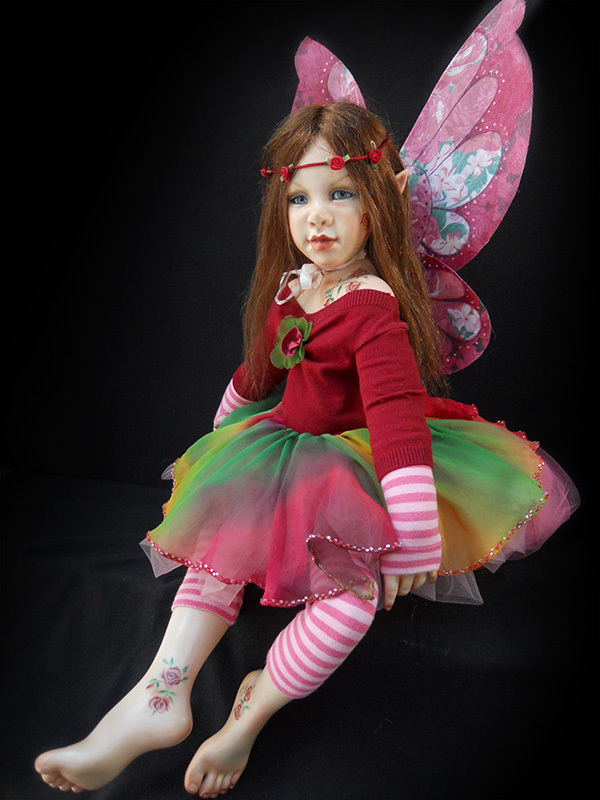 Pink Punk Fairy is a striking brunette fairy with exquisite butterfly wings. 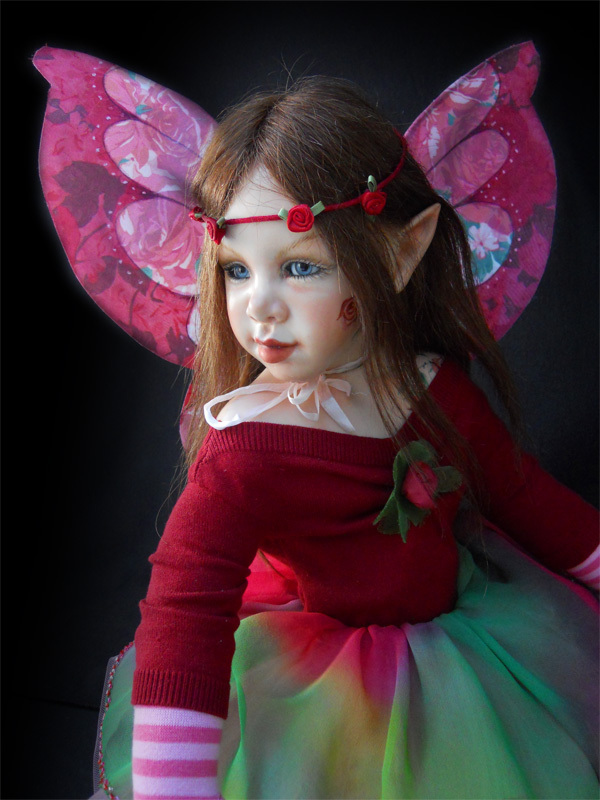 Her legs, shoulder plate, and face are painted with roses and leaves to match her wings. She wears a net skirt and pink and red stripy leggings and gauntlets.